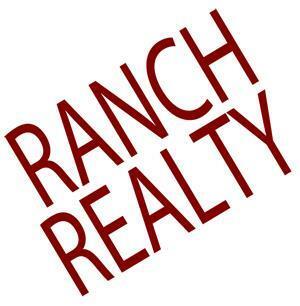 Ranch Realty can help you with houses for rent in 85258, 85260, Gainey Ranch, McCormick Ranch, Phoenix or Scottsdale. They have all types of homes for rent in their portfolio, including family homes, free standing homes, apartments, condos, vacation homes, budget homes and luxury homes. If you are a landlord and wish to list your property for rental, they can also help find you the right tenant. They there are many good reasons to want to live in a place such as Scottdale or Phoenix. Arizona has that wild west vibe going, but it’s no longer that wild. Scottsdale has rich areas such as the north and more affordable areas found in the south. In Scottsdale you with wealthy neighborhoods as well as middle class areas. So if you are looking for a property to rent you will sure find something to match your budget. There are many outdoor things to do in Arizona including hiking, rock climbing and mountain biking. And of course there is the Grand Canyon. From an entertainment perspective Scottsdale is vibey and has an amazing nightlife. This area is also a premier golfing destination with hundreds of area courses. The arts are not left behind and Scottsdale International Film Festival which features acclaimed movies from around the world. The weather in Scottsdale is mostly sunny and warm too hot. Not surprising since you are living in desert territory. But living in a desert area can be whole lot of fun and Scottsdale has the attraction and facilities you would expect. So there are many good reasons to want to live in AZ, and cities such as Scottdale and Phoenix. So if you are looking for properties to rent in 85258, 85260, Gainey Ranch, McCormick Ranch, Phoenix or Scottsdale, Ranch Realty can help.